“Old economics” could well have been found under the title of “The Age of Gold” or any other rare commodity, at a time when production itself often failed. But progress is ignored and logic is set aside when, to confer claims upon an automated production, we insist on keeping an instrument linked to scarcity. New students to the Social Credit philosophy should be forewarned: Social Credit is not a form of socialism. Social Credit is not a political party. And in 1939, a Commission of nine theologians appointed by the Bishops of Quebec found that Social Credit was not tainted with socialism or communism and was worthy of close attention. In fact, Social Credit wants every member of society to become a true capitalist, a shareholder in the wealth of the country. If the “social” in Social Credit worries some people, Douglas’s financial proposals can also be referred to by other names: Public Credit, Economic Democracy, or New Economics. As concerns political parties, it is true that parties called Social Credit have existed in the past and this explains why some people may be confused: a Social Credit party existed on the federal scene in Canada for some years, another took power in the Province of Alberta from 1935 to 1971 and another in the Province of British Columbia from 1952 to 1991 except for three years, from 1972 to 1975. Neither one of these provincial parties applied Social Credit. The very day he took office as premier, in 1952, Bennett, B.C.’s Social Credit leader, declared that his party would do absolutely nothing to apply Social Credit principles. There was actually nothing even closely related to real Social Credit in this party or its platform; it might have been more accurately called “conservative”. The fact is, there is no need for a so called Social Credit Party to have C. H. Douglas’s Social Credit principles implemented. These principles can be applied by any political party presently in office, whatever its name — Liberal, Conservative, etc. Some people may have thought that promoting Social Credit parties was a better way to promote Social Credit, but C. H. Douglas and Louis Even thought exactly the opposite. As they pointed out, the creation of Social Credit parties was even a nuisance, and did nothing but prevent the implementation of real Social Credit. For as soon as you use the words Social Credit to name a political party, you have closed the minds of people of other parties, preventing them to even study Social Credit, since they will consider it only as another party to be fought. Real democracy means that elected representatives are sent to Parliament precisely to represent their constituents and to express the will of their constituents. So the point is not to create new parties, and divide the people even more, but to unite the people around common objectives and then to put pressure on the Government to implement these objectives. This method of pressure politics is the one advocated by the Michael Journal. This is precisely what happened in Alberta in the 1930s. Douglas wrote a very interesting book on that subject, entitled “The Alberta Experiment”, from which the following information is taken. 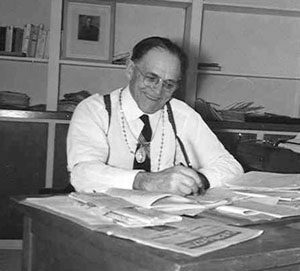 William Aberhart was the principal of a Calgary High School who commanded a province wide audience every Sunday with his religious broadcasts. He came across a book on Social Credit and, being so carried away by this new light, he began to use his radio program to preach the “gospel” of Social Credit, and to mobilize support for it. Hundreds of study groups soon appeared across the province, and a majority of Albertans became in favour of Social Credit. The ruling party in Alberta at the time, the United Farmers, was also open to Social Credit but insisted that it could only be applied nationwide and not provincially. Aberhart disagreed and decided to present Social Credit candidates in the 1935 provincial election. He captured 56 of the 63 seats in the provincial legislature. They were all new to politics, being a “set of amateurs” and no match for the Financiers. For example, when Aberhart took office, instead of listening to Douglas‘s advice, he went to Ottawa to seek financial assistance. Upon his return, he was given an economic adviser, Mr. Robert Magor, who had obviously only one objective in mind: to discredit Social Credit. Measures were adopted that were just the opposite of Social Credit, what Douglas called “a policy of capitulation to orthodox finance… Almost every mistake of strategy which could be made in Alberta had been made.” William Aberhart was the principal of a Calgary High School who commanded a province wide audience every Sunday with his religious broadcasts. He came across a book on Social Credit and, being so carried away by this new light, he began to use his radio program to preach the “gospel” of Social Credit, and to mobilize support for it. Hundreds of study groups soon appeared across the province, and a majority of Albertans became in favour of Social Credit. The ruling party in Alberta at the time, the United Farmers, was also open to Social Credit but insisted that it could only be applied nationwide and not provincially. Aberhart disagreed and decided to present Social Credit candidates in the 1935 provincial election. He captured 56 of the 63 seats in the provincial legislature. They were all new to politics, being a “set of amateurs” and no match for the Financiers. It must also be mentioned that Aberhart, although sincere enough, had also little knowledge of Social Credit. He did not understand its technical basis. This often led him, in an effort to simplify Douglas‘s ideas, to distort them. In the following years, fifteen Social Credit bills were voted on by the Alberta Government, but they were all vetoed by higher authorities. They were either disallowed by the Federal Government or ruled unconstitutional by the Supreme Court. Aberhart had learned from his mistakes during his first years in office and was ready, after World War II, to take up the fight again, but he unfortunately died in May of 1943. His successor, Ernest Manning, soon made it clear that he was not prepared to take up that fight and finally declared, in 1947, that his government would no longer do anything to implement Social Credit in Alberta. Incidentally, after retiring from politics, Ernest Manning became director of a bank. So those who say that “Social Credit is that funny money scheme tried in Alberta, where it failed”, are dead wrong. Social Credit did not fail in Alberta, for the simple reason that it was never tried: all the attempts to implement Social Credit policies were opposed and defeated by a centralized power. As Douglas said, if Social Credit was absurd and worthless as an effective answer to the Great Depression, the best way to have this demonstrated would have been to allow the Government of Alberta to go ahead with a Social Credit policy. The credit monopolists feared that even a partial implementation of Social Credit would prove so successful that every effort had to be made to prevent this from taking place. We firmly believe that the Social Credit principles, once implemented, would be a very efficient way to eliminate poverty. For the first time in history, absolute economic security, without restrictive conditions, would be guaranteed to each and every individual. So, dear reader, go ahead and study the following pages. You will find them most enlightening. Our hope is that this study will lead you to take action in making the Social Credit solution known to your fellow countrymen. Let us create a public pressure strong enough to get our governments to issue their own money, debt free, and to implement Douglas’s Social Credit principles. Since men are human persons, they also live in society. Association responds to a need of man’s nature. Because he is also a universe of indigence, in the temporal as well as in the spiritual world. The human being needs other human beings to come out of his indigence. He needs others physically for his conception, birth, growth. He needs others intellectually, too: without an acquired education, what intellectual level would a being who is born ignorant achieve? We will not speak here of his spiritual indigence, nor of the need he has for the society called the Church. In our studies, we will restrict ourselves to the temporal order, without, however, losing sight of the subordination of the temporal order to the spiritual order, because both the temporal and the spiritual orders concern this same man, and because the final end of this man takes precedence over all intermediary ends. Any association exists for a goal. The goal of an association is a certain common good, which varies with the type of association, but it is always the good of each and every one of the members in the association. It is precisely because it is the good of each and every one that it is a common good. It is not the particular good of only one of its members, nor of a section, that is sought by the association, but the good of each and every one of its members. Three people join together for an enterprise. Peter contributes his muscle power; John, his initiative and experience; Matthew, his money capital. The common good is the success of the enterprise. But this success of the enterprise is not sought only for the good of Peter, nor only for the good of John, nor only for the good of Matthew. If one of the three is excluded from the benefits of the enterprise, he will not join. The three form an association to achieve, for all and each of the three, a result that each of the three wants, but that none of the three can really derive alone. The money by itself would not give very much to Matthew; the arms by themselves would bring very little to Peter; the mind by itself would not be sufficient for John. But when the three combine their resources, the enterprise succeeds, and each one benefits from it. All three do not necessarily benefit to the same degree, but each of the three derives more than if he were alone. Any association that frustrates its associates, or a part of its associates, weakens its bond. The associates are inclined to dissociate. When, in a big society, the marks of discontent become more pronounced, it is precisely because greater and greater numbers of associates are deprived more and more of their share of the common good. At such a time, legislators, if they are wise, seek and take the means to make each and everyone of the members participants in the common good. Trying to checkmate discontent by inflicting punishments on its victims is a very inadequate way of making it disappear. One must distinguish between ends and means, and especially subordinate the means to the end, and not the end to the means. The end is the goal aimed at, the objective pursued. The means is the processes, the methods, the acts used to achieve the end. I want to manufacture a table. My end is the manufacturing of the table. I get planks, I measure, I saw, I plane, I adjust, I nail the wood: so many movements, actions, which are the means used to manufacture the table. It is the end that I have in sight, the manufacturing of the table, which determines my movements, the use of tools, etc. The end controls the means. The end exists first in my mind, even if the means have to be set to work before achieving this end. The end exists before the means, but it is reached once the means are used. Another example of this subject, on which we will return, is employment. So many legislators regard labour as an end of production, and are, by this, driven to demolish or paralyze all labour-saving devices! If they considered labour as a means of producing, they would be satisfied with the amount of labour necessary to achieve the sum of production sought. Likewise, is the Government not a means to facilitate, for the Provinces, and for the Nation, the pursuit of the common good: therefore to serve, according to the common good, the people who compose the provincial association, the nation? In practice though, does one believe that the Government exists for the people, or the people for the Government? One could say the same thing about systems. The systems were invented and established to serve man, not man created to serve systems. Then if a system is harmful to the mass of men, do we have to let the multitude suffer for the system, or alter the system so that it will serve the multitude? Another matter which will be the subject of a long study in this volume: since money was established to facilitate production and distribution, does one have to limit production and distribution to money, or relate money to production and distribution? Therefore one sees that the error of taking the ends for the means, the means for the ends, or of subordinating the ends to the means, is a stupid, very widespread error, which causes much disorder. The end is therefore the objective, the goal sought. But there are far-off ends and more immediate ends, final ends, and intermediate ends. I am in Montreal. A car company that I work for sends me to China to tie up commercial relations. I begin by taking the train from Montreal to Vancouver. There, I will embark upon a transoceanic liner which will take me to Hong Kong, where I will have recourse to public transportation for the rest of the tour. As I climb aboard the train in Montreal, it is to go to Vancouver. To go to Vancouver is not the ultimate end of my journey, but it is the end of my journey by railroad. To reach Vancouver is therefore an intermediate end. It is only an arranged means to the ultimate end of my journey. But, if it is only a means to the far-distant end, it is, in any case, an end as far as the journey by railroad is concerned. And if this intermediate end is not carried out, the ultimate end — tying up commercial relations in China — will not be reached. The intermediate ends have a determined field. I must not ask the railroad to take me to Hong Kong. Neither must I ask the transoceanic liner to carry me from Montreal to Vancouver. Besides, I must focus all intermediate ends on the ultimate end. If I take the railroad to Quebec City, I will undoubtedly be able to carry out this special end to perfection: reach Quebec City. But this will certainly not take me to my ultimate end: to tie up commercial relations in China. You will see shortly the reason for all these elementary distinctions. They seem very simple in the present case: the business trip to China. One is often unaware of them, and one falls into a mess when one comes to the ends of economics. Nevertheless, we are also faced with the reflection: “Here is an economy which is not economical!” Thus, without being trained to the subtleties of the dictionary, people already grant a broader sense to the word economy. For example, do not little girls of fourth-year primary school already study domestic economy? Going from domestic economy to political economy is nothing more than a question of extension. The word economy is derived from two Greek roots: Oikia, house; nomos, rule. The economy is therefore about the good regulation of a house, of order in the use of the goods of the house. We may define domestic economy as good management of domestic affairs, and political economy as good management in the affairs of the large communal home, the nation. But why “good management”? When can the management of the affairs of the small or large home, the family or the nation, be called good? It can be so called when it reaches its end. There is, for example, man’s moral activities, which concern his progress towards his final end. Cultural activities influence the development of his intellect, the ornamentation of his intellect, and the formation of his character. In participating in the general well-being of society, man engages in social activities. Economic activities deal with temporal wealth. In his economic activities, man seeks the satisfaction of his temporal needs. The goal, the end of economic activities, is therefore the use of earthly goods to satisfy man’s temporal needs. And economics reaches its end when earthly goods serve human needs. The temporal needs of man are those which accompany him from the cradle to the grave. There are some which are essential, others which are not as vital. Hunger, thirst, bad weather, weariness, illness, ignorance, create for man the need to eat, drink, clothe himself, find a shelter, warm himself, freshen himself, rest, to take care of his health, and to educate himself. These are all human needs. Food, drink, clothing, shelter, wood, coal, water, bed, remedies, the school teacher’s teaching books — these are all factors that must be present to fulfill these needs. To join goods to needs — this is the goal, the end of economic life. If it does this, economic life reaches its end. If it does not do this, or does it badly or incompletely, economic life fails its end or only reaches it imperfectly. The goal is to join goods to needs, not only just to have them close together. In straight terms, one could therefore say that economics is good, that it reaches its end, when it is sufficiently well-regulated for food to enter the hungry stomach, for clothes to cover the body, for shoes to cover naked feet, for a good fire to warm the house in winter, for the sick to receive the doctor’s visit, for teachers and students to meet. This is the domain of economics. It is a very temporal domain. Economics has an end of its own: to satisfy men’s needs. The fact of eating when one is hungry is not the final end of man; no, it is only a means to aim better towards his final end. But if economics is only a means to the final end, if it is only an intermediate end in the general order, it is nevertheless a distinctive end for economics itself. And when economics reaches this distinctive end, when it allows goods to join needs, it is perfect. Let us not ask more of it. But let us ask this of it. It is the goal of economics to achieve this perfect end. Let us not ask of economics to reach a moral end, nor of morality to reach an economic end. This would be as disorderly as to attempt to go from Montreal to Vancouver in the transoceanic liner, or from New York to Le Havre, France, by railroad. A starving man will not appease his hunger by reciting his Rosary, but by eating food. This is in order. It is the Creator who wanted it this way, and He turns from it only by departing from the established order, through a miracle. He alone has the right to break this order. To satiate man’s hunger, it is economics therefore that must intervene, not morality. And similarly, a man who has a sullied conscience cannot purify it by eating a good meal, or by consuming copious libations. What he needs is the confessional. It is religion’s place to intervene; it is a moral activity, not an economic activity. There is no doubt that morality must accompany all of man’s actions, even in the domain of economics. But morality does not replace economics. It guides in the choice of objectives, and it watches over the legitimacy of the means, but it does not carry out what economics must carry out. So when economics does not reach its end, when things stay in the stores or are not produced, and needs continue to be present in the homes, let us look for the cause in the economic order. Let us blame of course those who disorganize the economic order, or those who, having the mission to govern it, leave it in anarchy. By not fulfilling their duties, they are certainly morally responsible, and fall under the sanction of ethics. In effect, if both things are truly distinct, it happens nevertheless that both concern the same man, and that if one is immolated, the other suffers from it. Man has the moral duty to make sure that the economic order, the social temporal order, reaches its proper end. Also, although economics is responsible only for the satisfaction of man’s temporal needs, the importance of good economic practices has time and time again been stressed by those in charge of souls, because it normally takes a minimum of temporal goods to encourage the practice of virtue. There is order everywhere — order in the hierarchy of the ends, order in the subordination of the means. Man is put on earth by his Creator, and it is from the earth that he has the duty to wrest satisfaction of his nature’s needs. He does not have the right to shorten his life by doing without the goods that his Creator has put on earth for him. To make the earth, the earthly goods, serve all of mankind’s temporal necessities is exactly the proper end of man’s economic activities: the adaptation of goods to needs. Since men are beings who, by nature, live in society, a really human economy must be social. It must serve all members of society. An economic organization that would allow the use of earthly goods to serve the needs of only a few, leaving the others in privation, would certainly not be social; it would therefore be inhuman. If some members of society are practically banished from the economic benefits of society, and allowed, only grudgingly, what is strictly necessary to prevent them from rebelling against it, being treated rather like enemies to be pacified than like entitled members, the economic system is not human, but monstrous. This is an economic society of wolves. In the jungle, in the struggle for life, the strong win and the weak disappear. Such a law is inadmissible among people, who are intelligent and social beings. A struggle for life among human beings can mean nothing but a collective struggle against common enemies: the wild beasts of forests, ignorance, the adverse elements. A really human economy must be based on the co-operation in life. On the other hand, human beings, if they are social, are also free beings. And if a human economy must ensure the satisfaction of the essential needs of all men, it must do it without getting in the way of the person’s free blossoming. The economy must not do violence either to sociability or to genuine freedom. A society of men is not a herd. An economy that sets conditions for the right to life on enrollment, is not human; it goes against man’s nature. In the choice of the means to straighten a disordered economy, we will therefore choose the means that will respect man’s freedom. If the end of economics is a temporal end, it is therefore also a social end, to be reached socially. If it must satisfy man’s temporal needs, it must satisfy the temporal needs of ALL men. This applies to all levels of social hierarchy, according to respective jurisdictions. If it concerns the family, the domestic economy must seek the satisfaction of the needs of all members of the family. Passing to the provincial economy, it must seek, within provincial jurisdiction, the satisfaction of the temporal needs of all the province’s inhabitants. Likewise with the federal economy, it must satisfy human needs in what is within federal jurisdiction. Encompassing the world economy, it is important that some connecting organism exists between nations, an organism respectful of the constituting parties’ autonomy to orient the world economy towards the satisfaction of the temporal needs of all men. The earth was created for all mankind. But a good organization of society makes sure that the satisfaction of the temporal needs of ALL be effected as completely as possible within the circle of inferior levels, organisms in the more immediate contact with individuals. So, instead of substituting itself for the family, to help the indigents, the State would be much wiser to legislate and organize the economic order in such a way that the family can itself respond, as perfectly as possible, to all of the needs of the members who compose it. So, instead of substituting itself for the province, under the pretext that the provincial treasuries are broken and incapable of providing for immediate needs, the Federal Government would be much more in order if the provinces had financial means in keeping with their real wealth. This is the Social Credit philosophy. It is, at the same time, truly more democratic. ALL and EACH must be secured with all the goods that nature and industry can provide. The end of economics is therefore the satisfaction of ALL of the consumers’ needs. The end is consumption; production is only a means. To make economics stop at production is to cripple it. To request from it the satisfaction of the needs of only a portion of society, when goods glut warehouses, is unreasonable and inhuman. To abandon economics to hazard, to conflicting forces, is to capitulate shamefully, and to deliver the people to the teeth of the strongest. The end of every economic activity is therefore the satisfaction of man’s needs. When he satisfies his needs, man fulfills the function of consumer. The man who is hungry, eats; he consumes food. If he is cold, he clothes or warms himself; he consumes clothing or combustibles. In an order where the end governs the means, it is man as consumer who is in charge of all of the economy. And since every man is a consumer, it is every man who contributes to orienting the production and distribution of goods. It is for man, the consumer, that every economic activity exists. Man, as a consumer, must therefore organize production himself. It is he, the consumer, who must give his orders to the producers. A really human economy is social, as we said; it must satisfy ALL men. So ALL and EACH must be able to give their orders to the production of goods — at least to satisfy their basic needs, as long as production is in a position to respond to these orders. The needs of consumers — who can express them appropriately, if not the consumers themselves? This man, this woman, here in this apartment, over there at the door of their house, somewhere else in town, in the countryside, wherever they may be, whoever they may be — who can know their needs better than they themselves? It is each consumer who knows his own needs. Therefore it is from each consumer that productive capacities must get orders. In a system really organized at satisfying the needs of consumers — of all consumers — all the consumers must have the means of expressing their needs, of ordering goods that answer these needs. Production is unjustified in taking its orders from other sources than the consumers’ needs. This is nevertheless what happens when a firm puts pressure upon the consumers to push them to buying things for which they do not in the least feel a need. Then production takes its orders, not from the consumers, but from the search for profits. One admits that irrational consumers, animals, men who do not have the use of their faculties or the sense of their needs, require outside intervention to dictate what they should get. But rational beings can determine their own needs. Consumers must therefore be able to freely order useful goods for the satisfaction of their normal needs. Whatever may be the nature of the means adopted to express these orders, the orders must be able to come from the consumers as long as there are, on the one hand, unsatisfied normal needs, and, on the other hand, goods to satisfy these needs. Do goods exist? Do they exist in sufficient quantity to satisfy all of the consumers’ basic needs? Mankind has gone through periods of food shortage; famines covered big countries, and one lacked the appropriate means of transportation to bring to these countries the wealth from other sections of the planet. It is not at all necessary to go into detail to demonstrate this fact. It is not in the least bit necessary to quote cases of voluntary destruction on a large scale “to stabilize markets”, by making stocks disappear. The example of two world wars sufficiently proves the point. From 1914 to 1918, and from 1939 to 1945, millions of human beings, in the prime of life — the ones most capable of producing — were rerouted from the production of useful things, and were employed at destruction. Industries, powerful machines were subjected to the same fate. And in spite of that, mankind still had in front of itself the necessities of life. Famines are now nothing more than an artificial scarcity, wanted by some men. It takes minefields, submarines, torpedoes, blockades organized by force, to prevent abundance from overflowing to all the countries. When one considers postwar problems, one never wonders where one will find wheat for the next day, or materials and workers. It is a different matter altogether, which bewilders statesmen and sociologists: What will they do with all these arms, machines, producing inventions, that the end of the war puts back into availability? If, between both wars, all homes did not live in affluence, it was certainly not due to a lack of goods or the inability to produce. It was solely because the consumers did not have the means to order the goods that were produced. Active production was far from being oriented in accordance with the real needs of the country’s men and women. It was production calculated mostly to make a profit, goods of no use for the ordinary man and woman, goods that were, in certain cases, even harmful. A multitude of parasitic occupations, agencies, advertising campaigns — of which the existence is due to the incapacity of the consumers to express effectively their wishes — could have been employed usefully to serve consumers capable of expressing their wishes. Without leaving our country, we can truly affirm that there exist no obstacles of material or technical order to satisfy the legitimate needs of ALL consumers. It is useful, in order to understand several price and purchasing-power problems, to distinguish between two kinds of goods. On the one hand, there are goods which serve to support or embellish life. These goods are offered directly to the consumers for their use, and that is why they are called consumer goods. Food, clothing, fuel, foodstuffs that one finds on the market, the doctor’s services, are consumer goods. On the other hand, there are goods which are not put up for sale to the public, which are kept by producers precisely to produce consumer goods. Thus, a factory is not a consumer good. It is nevertheless a good, since it serves to produce consumer goods. The machines to make books, to manufacture shoes or clothing, to carry merchandise, fall in the same category as the factory. These factories, machines, means of transportation, the goods that we do not buy, but which serve to produce other goods, are called capital goods. They are in fact the producers’ real capital. A farm is a capital good. It is the farmer’s capital. Capital goods serve in production. We use the term “capital goods” and not “producer goods” in order to minimize confusion, because these goods include items which do not serve directly in production. Examples of these are roads, public buildings, and armaments. To clarify this distinction between consumer goods and capital goods, as well as to show what is the use of this distinction, let us give an example of the different ways in which these two kinds of goods behave in relation to the consumers’ standard of living, at least under the present system. One knows that to buy the products which are on the market, one must have money. Money is obtained mostly through wages and salaries. Wages and salaries are distributed to employees, whether they work to produce capital goods or consumer goods. A man produces salable goods, let us say, shoes. With his wages, he can buy shoes, but never all the shoes that he makes. Another man works in an arms factory. With his wages, he buys neither shells nor machine guns, but salable goods, such as shoes. The two-combined wages can buy more of the production of the first wage-earner. It is the reason why industrial developments, which bring about new construction, or wars, which bring about the manufacture of armaments, create a kind of prosperity by allowing people to buy goods that they otherwise could not buy, because of the lack of money. This is why one says that when things are going well in the construction business, everything goes well. Whence comes this reflection which could appear cynical but which nevertheless expresses a factual trend: A good war would bring back prosperity (through employment). For this reason, war is much more effective than construction. For example, if one talks about an ordinary industrial development, like a factory, once finished, it throws on the market goods which must recover the expenses of the factory. The problem of the lack of purchasing power then becomes more acute. War and arms factories put no products on the market; they even destroy or restrict the production of useful things by mobilizing manpower and machines while continuing to distribute wages and salaries to those who work at nothing but destruction. As production progresses, the producer specializes. This specialization is itself a factor for a greater total production, requiring however less effort from each specialist. For a long time now, some men have been cultivating the earth, some have been manufacturing materials, others worked at transportation, and others engaged in various kinds of services. But specialization increases, even on farms, and above all, in industry. Some workers make no more than a part, always the same part, of the finished product. As far as output is concerned, this division of labour is certainly worthwhile, but it requires, for the satisfaction of the consumers’ needs, much more recourse to trade. Parallel to the development of the division of labour, of specialization, we must therefore have a flexible development in the trade mechanism. The division of labour has furthered the invention of machines. In fact, the more the division, the more it is uniformly repeated, the more automatic becomes the movement of the worker who executes his very small part in the whole production process. That is tantamount to replacing human labour by machines. The introduction of the machine contributes to increasing production, while reducing man’s work. The division of labour and the introduction of the machine are in perfect harmony with the determining principle of economic life in the field of production: the maximum effect with the minimum effort. But this division of labour and the introduction of the machine pose problems, which one has not yet been able to resolve. If the division of labour has resulted in abridging, almost doing away with, the time necessary at apprenticeship, it has also, negatively, transformed labour into real toil. How boring and mind-destroying it must be to repeat the same movement, the same gesture, hour after hour, day after day, without having the satisfaction of thinking, devising, applying one’s mind! This is now the case in many occupations. Man’s creative faculties enter less and less into the worker’s daily labour; he becomes hardly more than a robot, a precursor to the steel machine. One remedy would be to reduce working hours to the bare essentials, to provide leisure to this worker so he will be able to exercise his faculties to his liking, and become a thinking man again. Another remedy is to hasten the installation of the machine which will do, in the worker’s place, the repetitive movement which is already, strictly speaking, no longer a human task. But with the present economic regulations, which require personal participation in production to get claims to production, one can imagine what happens when the worker is freed from work. Leisure is called unemployment, and the man thus released is a down-and-out. Some people say that machines do not replace manpower in a lasting way, because new occupations, created by new needs, offer a new outlet to the unemployed, at least until the time when the machine drives them out again one day. Nevertheless, these disruptions, these continual expropriations of the worker’s labour, disorganize his life more and more, banish all security, prevent him from building for the future, and force the multiplication of State interventions. Therefore, must one agree with those who oppose the introduction of almost all new machines? Not at all. But the system of goods distribution must be adapted. Since machines increase the quantity of goods instead of decreasing them, mechanical production ought to increase production in the homes, even if man’s personal labour in production decreases. This ought to be done without collisions and upheavals. It is possible, provided one dissociates – to the required degree – claims on production from a personal contribution in production. This, you will see further, is what Social Credit can do, by introducing into distribution the system of dividends to EACH and EVERYONE, to the extent that the wage-earners cannot buy all of the available goods, because of their lack of purchasing power. With production being more and more specialized and mechanized, each producer, man or machine, supplies, in line with the job, a more and more considerable quantity of goods that they, men or machines, do not themselves consume. Now, all that a producer supplies, over and above his personal needs, is for the use of the rest of the community. Thus, all of a farmer’s production, over and above his family’s needs, is necessarily for the use of the rest of the community. All of a blacksmith’s production, save what is for his family’s use, is destined only for the use of others in the community. Not that the farmer or the blacksmith must give to his neighbours or to the State what his family does not use. What his family does not consume is produced only for the consumption of the rest of the community, and in some way must go to the rest of the community. As for the machines, they consume nothing of what they produce. So their immense production enlarges these surpluses that, in some way, must reach the consumers for production to carry out its end. One can set any appropriate rules so that no worker will be injured. It will be necessary however that, in some way, the consumers are able to draw upon this plentiful production, which exceeds the particular needs of the producers who have brought it into being. And the more plentiful this non-absorbed production is by its makers, the larger its flow must be, and the more generous must be the claim which gives right to it. The abundance of goods introduced into the world, since man discovered the means of transforming energy and harnessing the forces of nature to his service, ought to be reflected in economic security for all — which means, at the very least, modest material comfort in every home, in an era of good, joyful, and peaceful social relations among individuals and nations. Unfortunately, the picture that meets the eye in all the civilized countries of the world is quite different. In front of an abundance of goods that pile up, except when they are destroyed in wartime, destitution takes place. Elevators and warehouses are full to overflowing; shop windows, newspapers, radio and TV announce everywhere a wide range of products, while people in their homes have to do without food, and use their rags and old furniture longer than ordinary. But quotations are hardly necessary. Most readers have only to examine their personal situations and that of their neighbours. So who, today, is ensured of a reasonable comfort for tomorrow? No one doubts that tomorrow Canada can continue to supply in plenty what is needed in terms of food, clothing, and housing. But how many people are assured of having a sufficient share for themselves and their families tomorrow, the day after tomorrow, next year? The number of unemployed and laid-off workers should, logically, show an overabundance of goods, and that consumption has reached saturation point. This number means, above all, sufferings, destitution, and desperation. The goods are there in front of human needs. So why is it that these goods do not fill these existing needs? What prevents the economy from reaching its end? Why is it that consumers, who have so many unsatisfied needs, cannot use these goods made for them? The existence of widespread poverty, in front of so much production and unused production capacity, is a terrible accusation against the distributive system. Never has supply been so great. In front of this supply, is there actually no demand? Demand exists. But the claim on supply, the right to have it, is wanting; this claim is money. One should make a distinction between real demand and effective demand. Real demand ensues from real needs. As long as there are people who are hungry, there exists a real demand for food. As long as there are people without proper shelter, there is a real demand for housing. As long as there are sick people, there is a real demand for medicine and medical care. But this real demand becomes effective only if it presents the claim to production: money. Effective demand exists only where money is united to needs. Under the present economic system, one usually notices a lot of real demands without the claims that would make these demands effective. The producers, forced to recover their expenses, look for places where there is still some money left, and then do everything possible to create a demand. This is to sell under pressure, which no longer answers the needs of the consumers, but the needs of the producers. This is a reversal of the economic order. The consumers become exploited victims, and no longer the masters to serve. The humane solution would be to put money where the needs are, thus making the real demand effective; and not to create artificial needs where the real demand does not exist. Since production exists to satisfy the needs of the consumers, and since, according to regulations generally accepted, the consumer must present money to be able to draw upon production, the money in the hands of the consumers must be in keeping with their needs, combined with the country’s production capacity. If this is not so, money works against the consumers, therefore against man. In this case, a change is essential. It is because the present monetary system hinders the satisfaction of the consumers’ needs, that certain people propose the abolition of money. According to them, the State would then seize all of the production that is not consumed by its authors, and would itself distribute it to all the members of the community. This is the Communist solution, which nobody wants in our country. Yet, one cannot approve of the immobilization of goods and production in front of urgent needs. We will not even consider the dictatorial solution, in which it is no longer the consumers who express their needs: A superman dictates to all what they should have, and to production what it should do. In such a system, guns may well be produced at the expense of bread. But one must first study this money question, to understand whence the shortcomings of the monetary system, and how to make the system work and fulfill its role. Better than anyone else, the Social Credit school knows how to distinguish between wealth and money. If, in its studies, it gives so much importance to money, it is because money today is necessary to have access to wealth. In normal times, when war does not introduce wholesale destruction, the civilized world abounds in wealth. The storekeepers then never complain of not being able to find what is needed to replace sold stocks. Warehouses are full to bursting. The hands of able-bodied men are more numerously offered than can be employed. The civilized countries have so many products that they search everywhere abroad to sell them. By all means, they favour exportation, and they bar the road to importation, so as not to be glutted with products. It is Canada’s situation. Canada is a country overflowing with wealth, and capable of producing even more. But, what is the use of saying to Canadian men and women that their country is rich, that it exports a great many products, that it is the third- or fourth-ranking country in the world for exportation? What goes out of the country does not go into Canadian homes. What stays in the stores does not appear on the tables of the Canadians. A mother does not feed her children or provide them with garments by going window-shopping, by reading product advertisements in newspapers, by listening to beautiful product descriptions on the radio, by listening to sales talk from countless sales representatives of all kinds. It is the claim on these products that is lacking. One cannot steal them. To get them, one must pay; one must have money. There are a lot of good things in Canada, but when the claim on these things is absent from the Canadians’ hands, when people do not have money, what is the purpose of the display of all this wealth? You cannot keep yourself alive by eating money. To get dressed, you cannot sew dollar notes together to make a dress or a pair of stockings. You cannot rest by lying down on money. You cannot cure an illness by putting money on the seat of the illness. You cannot educate yourself by crowning your head with money. No, money is not real wealth. Real wealth is the useful things which satisfy human needs. Bread, meat, fish, cotton, wood, coal, a car on a good road, the doctor’s visit to a sick person, the teacher’s science — this is real wealth. But, in our modern world, each individual does not produce all the things he needs. People must buy from one another. Money is the symbol or token that one gets in return for something sold; it is the symbol that must be presented to get something offered by another. Wealth is the thing; money is the symbol of that thing. Logically, the symbol ought to reflect the thing. If a country has a lot of things available for sale, there must be a lot of money available to dispose of them. The more people and goods, the more money in circulation is required, or else everything stops. It is precisely this balance which is generally lacking. We have at our disposal almost as great a quantity of goods as we could possibly wish for, thanks to applied science, to new discoveries, and to the perfecting of machinery. We even have people reduced to forced unemployment, who represent a potential source of goods. We have loads of useless, even harmful, occupations. We have a great deal of activities, of which the sole end is destruction. Money was created for the purpose of keeping goods moving, of selling goods. Why then does it not always find its way into the hands of the consumers in the same ratio as goods flow from the production line? Why? Because goods come from one source, and money comes from another source. The first source — production — works well, but the latter — money — does not work properly. A source of goods is the natural resources with which Providence has favoured the planet; other sources are applied science and the work of producers. All of these supply products in abundance. The source of money is elsewhere. Money comes neither from Providence, nor from science, nor from the farmer’s furrows, nor from the fisherman’s net, nor from the blows of the woodcutter’s axe, nor from the workman’s skill. And the source of money does not run parallel to the source of products, since money was lacking before World War II, in front of an abundance of goods available for sale, and since money came during the war, in front of the stores lacking in products. Products come through production, and they disappear through consumption. Money too comes and disappears, since it is plentiful at times, scarce at other times. Money comes into being and dies. Where do potatoes come from? — From the farmer’s field. Where are little calves born?— In the cowshed. Where do plums come from? — From the plum tree. Where does money come from? Where is born the paper dollar that I have in my pocket? Who gave birth to it, for what reason, and in what circumstances? Where were the millions and millions of dollars born with which the Government financed the war, the Government which had noticed for the previous ten years that there were not enough dollars in the country to just finance ordinary public works? Then, where do dollars go to when one cannot see them any more? Where did the dollars go during the 1930-1940 Depression, those dollars which had financed the country so well from 1925 to 1929? Where are dollars born, and where do they die? Ask people these questions, and tell me how many are able to answer you. Neither God nor the temperature creates dollars. And yet dollars are not created by themselves! Who creates them? Who knew how many to create to pay for the war? And why did they, who had created the dollars to carry on the war, not create any beforehand to settle the Depression? In order to clearly understand where money begins and where it ends, one must distinguish between two kinds of money, equally good: coins and paper money, and bookkeeping money. Coins and paper money is only pocket money, which ordinary people use every day. The big industrialists, the big retailers, more regularly use bookkeeping money. To make use of bookkeeping money, one must simply have a bank account. Let us suppose that I have a bank account with $2,000 to my credit. I buy an electric washing machine at Sears. It costs $600. I pay for it with a $600 cheque on my bank account. What will happen? I will receive my washing machine. The Sears firm will deposit my cheque at its own bank. The banker will raise the Sears firm’s credit by $600. Sears’ bank will then send the cheque to my bank. The banker will decrease the credit of my account by $600. And that is all. Not one dollar will have left a pocket or a drawer. An account will have increased — the retailer’s; another one will have decreased — mine. I have paid with bookkeeping money. Bookkeeping money is the credits in bank accounts. This kind of money accounts for 90 percent of all commercial transactions. It is the main kind of money in civilized countries, like ours. Furthermore, it is when bookkeeping money increases, that pocket money increases, and it is when bookkeeping money decreases, that pocket money decreases. When ten dollars of bookkeeping money goes into circulation, one dollar of pocket money (coins or paper money) enters into circulation. When ten dollars of bookkeeping money disappears from circulation, one dollar of pocket money disappears from circulation. It is at least the current ratio. Bookkeeping money is in control. It is its quantity that determines the quantity of the other kind of money (cash). To find out where money originates and ends, one must find out where bookkeeping money originates and ends. Bookkeeping money, which controls everything, is a credit in a bank account. Increasing credits in some bank accounts, while decreasing them in other accounts, is merely a transfer of bookkeeping money. If the credits correspond to metal or paper money deposited in the bank, it is a change from pocket money to bookkeeping money. But if the credits in bank accounts are increased without any decrease elsewhere, new bookkeeping money, which increases the total volume of money available, is generated. When I save and then deposit $100 in the bank, the bank writes down $100 to my credit. This gives me $100 in bookkeeping money. But it is not new money; it is merely money that has passed from my pocket to the bank, or from the account of someone who has issued me a cheque to my own account. It is not the birth of new money; it is simply savings. But, if instead of bringing my savings to the bank, I come to the bank to borrow a great deal of money, let us say $100,000, to enlarge my factory, what actually happens? The bank manager has me sign some forms and pledges. Then he hands me a discount cheque that I deposit with the teller. The teller simply writes $100,000 to my credit. He records the same amount in my bankbook. I leave the bank without carrying any cash on me, but I have added $100,000 of bookkeeping money to my credit, which I did not have upon entering. This allows me to pay, by cheques, up to an amount of $100,000 for machines, materials, and workers. Moreover, no other account in the bank was decreased to accomplish this. Not a penny was moved, whether from a drawer, a pocket, or an account. I have $100,000 more, yet no one has a penny less. This $100,000 did not exist an hour ago, and yet here it is entered into my credit, into my bank account. Where then does this money come from? This is new money which did not exist when I walked into the bank, which was neither in the pocket, nor in the account, of anyone, and yet it now exists in my account. The banker actually created $100,000 of new money in the form of credit, in the form of bookkeeping money, which is just as good as coins and paper money. The banker is not afraid to do this. My cheques to payees will give them the right to draw money from the bank. But the banker knows very well that nine-tenths of these cheques will simply have the effect of decreasing the money in my account, and of increasing it in other people’s accounts. He knows very well that a ratio of bank reserves to deposits of 1/10 is enough for him to answer the requests of those who want pocket money. In other words, the banker knows very well that if he has $10,000 in cash reserves, he can lend $100,000 (ten times the sum) in bookkeeping money. – Editor’s note: The preceding paragraph was written in 1946, and this ratio (a 10% cash reserve requirement) has changed since then. In 1967, the Canadian Bank Act allowed the chartered banks to create sixteen times (in bookkeeping money) the sum of their cash reserves. Beginning in 1980, the minimum reserve required in cash (bank notes and coins) was 5 per cent, which meant that the banker needed only one dollar out of twenty to answer the needs of those who wanted pocket money. The banker knew very well that if he had $10,000 in cash, he could lend twenty times the sum, or $200,000, in bookkeeping money. In practice, the banks could lend out even more than that, since they could increase their cash reserves at will by simply purchasing bank notes from the central bank (the Bank of Canada) with the bookkeeping money they create out of thin air, with a pen. For example, it was established in 1982, before a parliamentary committee on banks’ profits, that in 1981, the Canadian chartered banks, as a whole, made loans 32 times in excess of their combined capital. A few banks even lent sums equal to 40 times their capital. Moreover, in 1990 in the U.S.A., the total deposits of commercial banks amounted to about $3,000 billion, and their reserves amounted to approximately $60 billion. This resulted in a ratio of deposits to bank reserves of about 50/1. U.S. banks held enough cash to pay off depositors at the rate of only about two cents on the dollar. When it is the Government that borrows from the banks, the procedure is the same. The amounts are much greater, because the entire wealth of the country is involved. All the power to tax is then used as a pledge to the banker, in the form of debentures. When the war broke out in 1939, the Government, which for the last ten years had been short of money, went to the banks to carry out a first loan of $200 million. The banks did not have any more money than they had had the day before. For the last ten years, the population had been lacking money. When one is lacking money, one hardly has any surplus to bring to the banks. Nevertheless, the banks loaned $200 million to the Government. They wrote to the Government’s credit $200 million in bookkeeping money. And the young people, who had been wandering about aimlessly for years because there was no money, were called immediately by the Government, dressed from head to toe, lodged, fed, equipped, and transported to Europe to take part in the slaughter. And this was seen in all the countries of the world. The world had suffered from unemployment for ten years, due to the scarcity of money. This same world was able to fight a very costly war, because the banks had created all the bookkeeping money that was needed to finance the war. Canada’s banks thus created, during the war, at least 3 billion dollars of new money to finance the Canadian share of the universal butchery. Money is easy to create, since all that is needed is the banker’s pen. And yet, before the war, due to the lack of money, the world did penance for ten years, and no government made an order to make use of the banker’s pen. But this bookkeeping money, created by the banks, is created under certain conditions. It must be brought back within a determined period of time, along with other money, in the form of interest. Thus, one million dollars loaned at 5 percent for a period of twenty years, obliges the Government, which borrows this sum, to pay back 2 million dollars within twenty years — $1 million in principal and $1 million in interest. As the Government does not create money, and as it cannot pump out from the public more money than was put into circulation, it is never able to bring back to the banker more money than the banker created. The more the Government tries to meet its obligations, the more it creates a scarcity of money in the country. It must even borrow other amounts to be able to pay indefinitely the interest on the principal thus created by the banks. This is the reason why the public debt always increases, why interest on this debt is ever greater, and why taxes to pay the interest charges are more and more burdensome. As for private individuals who thus borrow from the banks, they must either pay back with interest, or go bankrupt. If some succeed, it is by extracting from consumers, through the sale of products at raised prices, more money than they have put in. The success of some, in a system where money begins in the form of a debt, laden with interest, necessarily causes the bankruptcy of others. Nine-tenths of the money that returns to the bank to repay loans enters the bank in the form of credit, and is simply cancelled; this money ceases to exist. The bank is both the cradle and the grave of money. It is both a factory that creates money and a slaughterhouse that cancels money. When repayments are demanded faster than new loans are made, the slaughterhouse functions more rapidly than the factory. The result is a depression. This was how the 1930-1940 Depression originated. When loans are more generous and more frequent than repayments, the factory runs more rapidly than the slaughterhouse, and money becomes plentiful. This is what happened during the war: money was more plentiful than the products. It is quite obvious that the amount of money in circulation depends on the banks’ actions. And the banks’ actions do not depend at all on production or needs. In a world where one cannot live without money, one understands that a system which thus gives to private interests — the banks — the power to regulate the amount of money as they please, puts the world at the mercy of the makers and the destroyers of money. Those who control money and credit have become the masters of our lives. No one dare breathe without their permission. This is what Pope Pius XI said. It is production that gives value to money. A pile of money without corresponding products does not keep anyone alive, and is absolutely worthless. Thus, it is the farmers, the industrialists, the workers, the professionals, the organized citizenry, who make products, goods and services. But it is the bankers who create the money, based on these products. And the bankers appropriate this money, which draws its value from the products, and lend it to those who make the products. The situation amounts to this inconceivable thing: all the money in circulation comes only from the banks. Even coins and paper money come into circulation only if they are released by the banks. But the banks put money into circulation only by lending it out at interest. This means that all money in circulation comes from the banks and must be returned to the banks some day, swelled with interest. The banks remain the owners of the money. We are only the tenants, the borrowers. If some manage to hang on to their money for a long time and even permanently, other people are made incapable of fulfilling their commitments. A multiplicity of personal and corporate bankruptcies, mortgages upon mortgages, and the continuous growth of the public debt, are the natural fruits of such a system. Charging interest on money at birth, as it comes into existence, is illegitimate and absurd, antisocial, and contrary to good arithmetic. The monetary defect is therefore as much a technical defect as a social defect. As our country grows, in production as well as in population, more money is a must. But it is impossible to get new money without contracting a debt, which collectively cannot be paid. So we are left with the alternatives of either stopping growth or going into debt; of either plunging into mass unemployment or of having an unrepayable debt. And it is precisely this dilemma that is being debated in every country. Aristotle, and later, Saint Thomas Aquinas, wrote that money does not produce offspring, does not breed more money. But the bankers bring money into existence, provided only that it breeds more money. Since neither governments nor the public create money, no one creates the offspring (the interest) claimed by the banker. Even legalized, this form of issue remains vicious and insulting. This way of creating our country’s money, by putting governments and individuals in debt, establishes a real dictatorship over governments and individuals alike. The sovereign government has become a signatory of debts owed to a small group of profiteers. A minister, who represents all of the population of the country, signs unrepayable debts. The banker, who represents a few shareholders who thirst after profits, manufactures our country’s money. This is one striking aspect of the degeneration of power, of which Pope Pius XI spoke: governments have surrendered their noble functions, and have become the servants of private interests. The Government, instead of guiding Canada, has become a mere tax collector, and the biggest item in government expenditures is precisely debt servicing: payment of the interest on the public debt. Furthermore, legislation consists mainly in taxing the citizens, and erecting, everywhere, restrictions to freedom. There are laws to make sure that the money creators are repaid. There are none to prevent human beings from dying in dire poverty. Tight money develops a mentality of wolves in individuals. In front of plenty, everyone tries to get the too scarce symbols of the goods that give a right to a share in this plenty. Hence, frantic competition, patronage, denunciations, the tyranny of the “boss”, domestic strife, etc. A handful of people preys on the others; the great mass of the people groan; many founder in the most degrading poverty. Sick people remain without care, children are poorly or insufficiently nourished, talents go undeveloped, youths can neither find jobs nor start homes and families, farmers lose their farms, industrialists go bankrupt, families struggle with difficulties — all this without any other cause than the lack of money. The banker’s pen imposes privations on the public and servitude on the governments. It is not at all necessary or to be recommended that banks be abolished or nationalized. The banker is an expert in accounting and investment; he may well continue to receive and invest savings with profit, taking his equitable share of profits. But the creation of money is an act of sovereignty that should not be left in the hands of a bank. Sovereignty must be taken out of the hands of the banks, and returned to the nation. Bookkeeping money is a good modern invention that should be retained. But instead of having these figures proceeding from a private pen, in the form of a debt, these figures, which serve as money, should come from the pen of the sovereign, in the form of money destined to serve the people. Therefore nothing is to be turned upside down in the field of ownership or investment. There is no need to abolish the current money, to replace it with other kinds of money. The Government needs only, on behalf of society, to institute a system which adds enough of the same kind of money to the money that already exists, according to the country’s possibilities and needs. To this end, the Government must establish a monetary body, a National Credit Office. The accountants of this Office, although appointed by the Government, would not take their orders from it. Neither would they dictate anything to the producers, nor to the consumers. Their function would consist simply in matching the mechanism for the issue and withdrawal of money with the rate at which wealth is produced and consumed by unrestrained producers and consumers. Somewhat like the judicial system: judges are appointed by the Government, but their judgments are based solely on the law and exposed facts, two things they neither authored nor instigated. People must stop suffering from privations when there is everything needed in the country to bring comfort into every home. Money must be issued in accordance with the country’s production capacity and with the demand of the consumers for possible and useful goods. But where and how must this new money be put into circulation? To whom does this new money belong to when it comes into circulation in Canada? It belongs to Canada, and it is made for the Canadians. Being the fruit of the country’s enrichment, this money does not belong to the accountants of the Office where it is created by a stroke of the pen. Nor does it belong to the Government, to be disposed of at will, since this would amount to replacing a banking dictatorship with a political one. This new money responds to the country’s developing needs. It is not a wage, nor a salary, but an injection of money into society so that the people, as consumers, may obtain goods already made or easily realizable, which are awaiting only sufficient purchasing power for them to be produced. One cannot imagine for a minute that this new money belongs only to an individual or to a private group. There is no other way, in all fairness, of putting this new money into circulation than by distributing it equally among all citizens, without exception. Such a distribution is the best way of making money effective, since money thus reaches into every corner of the land. Let us suppose that the accountant, who acts in the name of society, noticing a lack of money, finds it necessary to issue 21 billion dollars. This issuance could take the form of bookkeeping money; a simple entry in a book, as the bankers do today in their ledgers. Since there are over 30 million Canadians and $21 billion to distribute, each citizen would get $700. So the accountant would inscribe $700 in the account of each citizen. These individual accounts could easily be looked after by the local post offices, which are answerable to the Federal Government. This would be a national dividend. Each Canadian would have an extra $700 to his own credit, in an account established for this purpose. Whenever it might become necessary to increase the money supply in a country, each man, woman, and child, regardless of age, would thus get his or her share of the new stage of progress, which makes the new money necessary. This is not payment for a job done, but a dividend to each individual for his share in a common capital. If there is private property, there is also common ownership; that is to say, if some properties are privately owned, there are also common goods to which all are entitled. “My dear fellow, you think you are poor, but you are a capitalist who possesses a great many things, in the same way as I and the Prime Minister do. The province’s waterfalls, the crown forests, are yours just as they are mine, and they can easily bring you an annual income. “The social organization, which makes it possible for our community to produce a hundred times more than if we lived in isolation, is yours as well as mine, and must be worth something to you as it is to me. “Science, which makes industry able to multiply production almost without human labour, is a heritage passed on to each generation, a heritage that is continuously growing; and you, being of my generation, should have a share in this legacy, just as I do. “If you are destitute, my friend, it is because your share has been stolen from you and put under lock and key, and the present unemployment in front of your needs, is the result of this. “The Social Credit dividend will ensure that you get your share, or at least a major portion of it. A better administration, freed from the financiers’ influence, and thus able to deal justly with these exploiters of men, will see to it that you get the rest. But we must take a closer look at the reasons why, in a well-organized society, each member is entitled to at least a minimum supply of goods. Too many people, who are regarded as being great sociologists, have not yet admitted this right. Canadian war production has proven, without a doubt, what Canada can do once it decided to put aside the artificial obstacles, that is, the financial obstacles. After having made use, to such an extent, of the country’s production capacity, will it still be permissible for millions of Canadian families to be condemned to despicable privation, until the country is brought into a total war? The economic system must secure, says the Pope. Secure, not only promise, not only display goods in shop windows. Secure for whom? For everyone. For everyone? Yes, and the Pope stresses: for all and each. All and each does not allow any exception. Secure what? All those goods which the wealth and resources of nature and technical achievement can secure. In the Arctic, near the North Pole, one could not secure anything. But in Canada? In Canada, where production piles up in normal times much faster than it can be disposed of, this difficulty does not exist. All goods. This means not to put some under lock and key; not to burn fruit or throw milk into sewers under the eyes of men, women, and children who suffer from hunger. Sufficient food, sufficient clothing, sufficient housing, sufficient health production, sufficient leisure time for the body to rest and to rejuvenate the mind. And for this livelihood to be honest, should freedom — the most beautiful privilege of the human person — be sacrificed? For this minimum income which constitutes an honest livelihood to be guaranteed, must we first kill one another on battlefields? Or, for the wealth and resources of nature and technical achievement to reach the families in peacetime, must we first have a growing proportion of citizens employed by the State? Must we have, insofar as science places solar energy and machines at the service of man, man thrown into the net of State Socialism? A livelihood subject to such conditions would cease to be honest. An honest livelihood cannot mean the livelihood of a slave who becomes the thing of his master, even if this master is called the State. An honest livelihood is the papal drawn-up objective of any soundly established economic and social organism. But, even if the Holy Father would never have defined this objective, does not mere common sense point it out to us? Each time men join together, is it not to get more easily, through their association, what each associate wants but cannot get alone without greater difficulty? This is true of any enterprise, and it is true of the big association which is called society. Also, in society, as soon as frustrations begin for some members, as soon as more and more people cease to get the benefits which must result from life in society, breakaway forces, the forces of anarchy, begin. Then, who will believe that aspirations common to all men, aspirations that one finds in each individual, can be contrary to order? It is the Creator Himself who has given man his nature. If each person lays claim to a minimum of food, a minimum of protection from the elements through clothing and housing, it is because his nature is such that he cannot live without this minimum. Each person born into this world has a right to life. Whether a newborn makes his entrance into this world in a monarch’s palace or in the poorest hut of the poorest of Canadians, he has the right to live, just like anybody else. It is not a matter of the standard of living, but of the bare necessities to keep a person alive. In front of the right to life, therefore in front of the bare necessities of life, every member of society, every individual of the human race, is equal. The right to life, the right to the means of living, is a birthright. It is a right which must not infringe upon the rights of others, which must not lower the standard of living of others, in a country that overflows with everything that is needed and where goods are wasted for want of buyers. Therefore, the coming of a newborn child into a family should not result in a breach in the honest livelihood of the family’s other members. And yet, even with all the facilities of modern production and transportation, does our present society guarantee to each of its members the assurance of an honest livelihood? Where, in our civil law, is the statute which ensures to each person being born in our country the necessary minimum for an honest livelihood? One will find many laws to prevent people from ill-treating animals. But there is not one line to prevent a handful of men from holding back the distribution of the abundance. The papal objective of an honest livelihood for all and each is sadly ignored. Even if all the goods of this world were under the system of private property, it would not exclude the right of each person, even of the have-nots, to life, and consequently to the bare necessities of life. Property, even private, has a social function to fulfill. Ownership confers on the owner an obligation to manage his property for the common good. But there are also many goods, many production factors, which remain common property, of which all members of society are co-owners in the same degree. Of these goods, some are visible, concrete, as in our country, crown forests and the powerful waterfalls, fed free of charge by the pumping force of the sun and the configuration of mountains. To whom do these goods belong? Do they not constitute a real common heritage, to the benefits of which all are entitled? Then, there are the goods which are less visible, though no less real nor less productive, such as the developments of science applied throughout the centuries. We even believe that applied science becomes a preponderant factor in today’s abundant production. Therefore, who will maintain that science is a private good? It is not a matter of ignoring the personal efforts of those who are educated; but even the education acquired by a person imposes on him an obligation towards society, since, to get this education, this person has benefited from all the social organization which allowed it. Then, there is also the social organization itself which, considered from the mere standpoint of its role in the production of material goods, is a very important factor. If each member of society had to live in isolation and to see to his own livelihood, all by himself, the production of each person, the total production of all, would be immensely less than what it is under the system of division of labour, grafted on the social organization. Therefore, the existence of an organized society increases considerably the production capacity of society as a whole. Is this existence of an organized society a private good, or is it a common good from which all should benefit? Each human being, being a member of a constituted society, is entitled to a certain quantity of goods, because of the natural right to life, but also as a heir of past generations, and as a co-owner of a common good, of a great many common goods. But how, nowadays, does a claim to the goods offered by the producing mechanism become valid? How, if not through the bank note or the credit account transmitted by the buyer to the seller, through money? This method has the advantage of making the choice of products more flexible, and of protecting the parties involved in the transaction. But in order for this method to function without depriving any member of society of his right to live, it is necessary, in today’s world, for all and each to possess a minimum of these claims on production, a minimum amount of money, be it cash or bookkeeping money. It is this minimum of claims on their country’s production, ensured to each and everyone of its citizens, that the Social Credit school calls the national dividend. A dividend, because it neither represents a wage nor a salary, which is the reward for personal work, but it represents the right of an heir, the citizen’s right to the income from a common capital, the right to existence, that a well-organized society must guarantee to each of its members, just because they exist. Chapter 12 — What is a Dividend? When a company realizes a surplus from its operations, after having deducted the necessary amounts to meet its obligations, and after having set aside the required funds for depreciation and redemption, it distributes the rest among its shareholders. If, for example, the company’s share-capital is $500,000, and the distributed clear profits are $30,000, the company will declare a 6% dividend, because $30,000 represents six-hundredths of $500,000. The man who has ten-$100 shares in this company, will get a dividend of ten times $6, that is, $60; the one who has twenty shares, will get a dividend of $120. If the clear profits are only $10,000, the dividend will be only 2 percent. And if there remains no clear profits after all necessary payments, there will then be no dividend. The dividend therefore presupposes a surplus. The granting of dividends to the shareholders does not cause them to lose interest in their company. It is just the opposite that takes place. If these shareholders are also employed by the company, if, by their work, they contribute to the production of manufactured articles in the plants of the company, will they become lazy, become lax, because they draw dividends, over and above their wages or salaries? It would be stupid to think so. They know that only an increase in the volume or in the quality of production will bring more dividends. No doubt they will devote themselves more industriously to their work. Who is entitled to dividends? The shareholders, those who have invested funds in the firm, are entitled to dividends. If it is a co-operative firm, the producers themselves, after having drawn their wages or salaries, are also entitled to their dividends, to their share of the surplus, if there is any, because these producers are the shareholders. And once again, where do the dividends come from? They come from surpluses; their figure is determined by the surplus figure. The dividends are not money taken from certain shareholders to give to others. The dividends do not create debts for the company, since the company actually distributes its very surplus. Of course, these critics are making mental exceptions of themselves. They never believed for one moment that if they would draw a dividend of some five-hundred or six-hundred dollars a month, that they would then lie down on long chairs, thanking the Lord for having put their daily bread into their mouths. No, not they, because they have a splendid moral outlook, a developed intelligence, and they will always be ready to work to raise their standard of living… But it is of the others that they are thinking about, the “mob”, the publicans without virtue or intellect whom they do not deign to look at, much less educate. For these puritans, the “mob” exists to water the earth with its sweat and tears… and live in perpetual privation. Yet, each person today is entitled to the heritage bequeathed by past generations. When a person dies and leaves goods to his heirs, does he question whether these heirs are just people or sinners? Is their inheritance denied, under the pretext that they will not know how to use it profitably? A few considerations are suitable here on this notion of common heritage, of which all living people must be beneficiaries. Science applied to agriculture, industry, trade, and communications has made enormous progress, especially in the last one-and-a-half centuries, and more particularly in the last fifty years. Man has known for a long time how to multiply, by the use of simple machines, the strength of his muscles and that of animals; he has also made use of some inanimate powers, like wind and water. But ever since he has learned how to exploit solar energy, fossilized in the form of coal or oil; ever since he distributes hundreds of miles away, through simple metallic wires, the power of waterfalls; ever since chemistry has passed from the laboratory into industry, one cannot keep count of all the types of improvements and progress. The production problem is resolved. There are some who have not yet understood this; who believe that man has to be poor and endure much to earning his living. When you speak of a heritage accumulated by generations, of the earth conquered by man’s toil and mind, they retort that we are born in debt. Wealth overflows, but a false, absurd, and fallacious financial system, which is diametrically opposed to actual facts, changes the heirs into debtors. Oh! their logic!… It seems that Champlain and the valiant settlers who planted the Cross, and who brought the plow and civilization into Canada’s forests, followed by their successors, who for three centuries have improved agriculture, made towns and industries flourish — this whole line of workers have left to the Canadians living in the middle of the twentieth century nothing but a heritage of debts? And twenty-five years from now, how much bigger will be this debt, on which we cannot always even pay the interest? A child has just been born; baptism has not yet made him a son of the Church, but he is already a debtor. Federal, municipal, school, and parochial debts fill the atmosphere around his cradle. He is born in debt. He will grow in debt. He will work —if he has the chance to — to pay accumulated debts, while nibbling on a few crumbs which support his earning capacity and which prevent him from revolting completely, until he dies in debt. And you speak of heritage! Some heritage that is! What happens is that, in fact, under today’s illogical system, the more assets a country acquires, the more its “financial” debt increases. The worker creates wealth, while the parasite manages finance. And, in spite of all the beautiful speeches to the contrary, finance is set above man; the parasite is master, and the worker is a slave. Tell the worker that he is an heir, and the parasite will make him say that you are an Utopian, a trouble-maker, a destroyer of morals. A system which exists for the profit of the few and the enslavement of peoples does not want to acknowledge the real heritage, the great asset bequeathed to a generation by all those who preceded it. But Social Credit, which has lost all respect for the old idols and their high priests, highly proclaims the existence of this heritage and the rights of the heirs. Social Credit does not trouble itself with bookkeepers who reward you with a forty years’ debt when you have succeeded in building a bridge across the St. Lawrence River. These jokes have caused us too much harm for us not to throw them all to the winds. It is a COMMON asset, and that is the reason why every member of society is entitled to a share of production, this share getting bigger and bigger as this asset enters more and more into production as a preponderant factor. Assuredly, the worker who exploits it is entitled to his reward, and no one contemplates refusing it to him. But the owner of this common cultural asset, that is, each member of society, nevertheless retains his entitlement and rights. It was said a great many times that capital and labour must work together, because labour without capital cannot do much, and capital without labour can do absolutely nothing. But what can both do together if you exclude the cultural inheritance, the contributions of inventions and progress throughout the ages? Thanks to the contributions of applied science, of the cultural asset, products multiply and improve with fewer raw materials and less work. Is it not fair for the heirs to get their share? We have said it; this cultural inheritance is a common asset that belongs to every member of society. Suppress the community, the association, and you will suppress plenty. Plenty is much more the fruit of the common cultural asset than of individual effort. Certainly the latter remains, but the former is there too. Because we ignore the inheritance and the heirs, the world is filled with injustices and nonsense. Possible production is not marketed and often is not even realized, because the heirs are not given their claims on this production which the common asset, entering into it as an important factor, entitles them to. It is the income from this inheritance that Social Credit wants to distribute, under the name of a national dividend, to every member of society. It is a dividend, because it corresponds to surpluses. The firm which has an income surplus does not declare a crisis, but distributes the surplus among its shareholders. If Canadian agriculture and industry have surpluses, why not let the members of society, all the Canadians, benefit from it, as members of an organized society? No one should see the shadow of Communism or Socialism in this theory. Private industry remains. Private property remains, as well as profit. Private capital, which was really invested, continues to command reasonable dividends. Labour continues to draw its wages. But the heirs receive the annual income from their inheritance. All, young and old, rich or poor, employed or unemployed, sick or healthy, are entitled to this dividend, because it is not earned by anyone in particular, because all direct contributors to production have already been rewarded, and because surpluses are only due to the cultural asset. This cultural asset is the common property of everybody. If you give a larger dividend to some, you favour one over another. If you do not give it to anyone, you let production go to waste or be restricted in front of glaring needs, and you have the unjustifiable situation of poverty amidst plenty. “But it is to give something for nothing!” some might say. This is giving claims on the wealth to distribute the wealth that already exists. This is granting to the members of society a dividend on the capital accumulated by their fathers, which capital they themselves will continue to increase, to the benefit of their sons. “We think that, in a system where a (more social) conception of property would be in force, this axiom (`nothing for nothing’) would not be able to survive. Quite to the contrary, the law of usus communis would lead us to establish that, at least and foremost, what regards the basic material and spiritual needs of the human person, it is proper for people to get, for nothing, as many things as possible… The human person being served in his basic necessities is only, after all, the first condition of an economy which does not deserve to be called barbarous. We know — at least those of us who are Catholics do — the dogma of the Communion of the Saints. The Church possesses an abundant spiritual treasury, made up of the infinite merits of Our Lord and of the superabundant merits of the Virgin Mary and the Saints. No! Through indulgences, the Church gives us access to this treasury, under conditions which are completely within our reach. It does not mean that we all become equal in merits in the Church, but that all have an easy access to this spiritual treasury, and that the Church is ever so happy to see us draw from it. The more one draws from it, the more the treasury increases, because the souls fortify and perfect themselves. The producers of merits — the Saints — do recognize that they owe their sanctification to the Church established by Our Lord, and they all rejoice in seeing their co-members in this Church benefit from the treasury that they have been able to increase by their contributions. We can compare this concept to that of the dividend advocated by Social Credit. It takes nothing away from the producers of goods; on the contrary, it will accelerate the output of their means of production, while contributing to the common good. Plenty exists. Those who have not yet recognized this assuredly cannot understand anything about our doctrine. Perhaps they have never seen any unemployed worker: a person out of work means that the abundance of goods is suppressed because it is not distributed. Plenty exists, but one smothers it, because one does not want to distribute it to all those for whom it exists. One puts the surpluses, the communal treasury, under lock and key, because one wants only those who have the privilege of contributing to production to be entitled to a small share. To those not contributing to production, nothing. The Social Credit dividend will distribute the production that is today being lost or suppressed at its source. It will not dry up production; it will stimulate it. Let us not confuse the dividend with the dole or with welfare. The dividend is not public charity, but a distribution of income to the members of society, for example, to all the shareholders of Canada Limited. The funds which are used for welfare are levied on the present or future incomes of the employed members of society. In order to give a little purchasing power to the have-nots, social welfare takes some purchasing power away from others, or mortgages the purchasing power of people who are not yet born. In a century and a country of plenty! Moreover, welfare demoralizes, because it punishes work. The recipients who accept work, even at a wage which does not allow one to live decently, lose their benefits. Forms of social security, like welfare, humiliate the destitute, who are told that they are a burden to others, that they live on the forced contributions from their fellow citizens. The Social Credit dividend has none of these evil features. It is an income distributed to all, because it belongs to all. It does not create a burden to anyone; it does not deprive anyone. It does not create inflation, because it is conditioned by the actual or imminent presence of products. No one is wronged. It is the production surplus, immobilized at the moment, that the dividend proposes to distribute. To refuse it is to destroy wealth, to establish the reign of poverty in front of an abundant production capacity, to unjustifiably maintain the consumer in want, families in suffering, the worker in unemployment, industry in chaos, the taxpayer in despair, the governments in servitude. Will you pocket the six-hundred dollars and leave your job for a month? Or will you be green with envy or vexation at the thought that each of your neighbours also gets $800? Or will you call the Canadian Government immoral, because it gets the poor out of misery instead of letting the products go to waste? Would you not rather thank God for having put you in a well-organized and well-administered country, rich in natural resources? Would you not become all the more attached to your homeland, and strive to contribute to its prosperity? Would you not continue to work more industriously, like the worker who has just received a raise in wages, because you will know that the possibility of a dividend depends on the development of production? The good effects that the dividend would have upon you would apply to others as well. Too many of those who find the idea of a dividend harmful are hypocritical or proud people who think that, for themselves it would be good, but that others, born and raised in sin, are too licentious to use a dividend wisely. What will the dividend mean for the family — a dividend for your wife and for each of your children, as well as for yourself? Will it sow consternation or discord in your home? Will you not, on the contrary, consider together the idea of improving the conditions of life in your home, like buying a new piece of furniture, a new accessory, new comforts that you have wanted for a long time? At last you will be able to refurnish a wardrobe that was getting old. You will be able to consider getting a better education for your children, developing the talents of one or the other for such and such an art; bringing electricity into your home, getting a little help and rest for your wife. You will have your pew at church; you will be able to enlarge your donations for charities, because a little more ease at home has not made you less Christian. You will be able to subscribe, you and your family, to magazines that are both educational and recreational, instead of being limited, by an insufficient budget, to the cheap vulgar press. Much has been said about the family wage. The married man, a father of many children, needs certainly a larger income than the bachelor. But although they may be equal in productive value, the one or the other cannot demand different wages from his employer, for the employer would thus rather hire single men and providers of small families. The dividend settles this problem, since each individual participates in it equally. The married man, a father of six children — all of whom perhaps being of a tender age — will be able to get the same wages as his bachelor fellow worker, but while the bachelor gets his sole dividend, over and above his wages, eight dividends will enter into the family which has eight mouths to feed. These are family allowances which cost nothing to anyone, which, on the contrary, help everybody, since they allow production to run at full output. The dividend (added to the compensated discount) allows the sale of farm products at prices which leave the farmer a sufficient profit to pay him for his toil. His family, often large, benefits in addition from the dividends obtained by each of its members. In the same way that he is able to sell his farm products, he is also able to buy those of industry. At last he can think about buying the farm implements which he lacks, chemical manure, more head of cattle, etc. If this farmer is a settler, you can imagine how helpful the dividend becomes to him. Those who increase, by such a laborious life, the productive domain of society, are certainly more entitled to the surplus of the producing system. What effect will the national dividend have on the worker? It will safeguard the worker’s dignity. The worker will no longer be forced to hire himself out for a starvation wage; hunger enslaves the needy worker to the conditions laid down by the exploiter. Besides, by assuring the sale of products, the dividend allows an employer to remunerate his employees better. For the same reason too, the dividend favours the permanence of employment. You must not, in fact, delude yourself about this; if the machine replaces man in a multitude of processes, there remains enough to do in public and private improvements and developments, at least here in Canada, to make use of our employable men’s energies. The security against an absolute need brought on by the dividend allows each one to pursue occupations that will fit him best; all the social organism will gain by it. The dividend is the formula to ensure to each member of society, to all and each, the right to the basic necessities of life, when there is possible plenty for all. The distribution of new money by the national dividend is therefore a means of increasing the country’s money supply when it is necessary, and of putting this money directly into the consumers’ hands. But, to be beneficial to the consumer, this distribution of money must constitute a real increase in the consumer’s purchasing power. Now, the purchasing power depends on two factors: the quantity of money in the buyer’s hands, and the price of the products for sale. If the price of a product decreases, the consumer’s purchasing power increases, even without an increase of money. Now, I have $10.00 with which to purchase butter; if the price of butter is $2.50 a pound, I have in my hands the power to buy four pounds of butter; if the price of butter is lowered to $2.00 a pound, my purchasing power goes up, and I can buy five pounds of butter. Moreover, if the price goes up, it unfavourably affects the consumer’s purchasing power; and in this case, even an increase of money can lose its effect. Thus, the worker who earned $200 in 1967, and who earned $400 in 1987, would lose out, because the cost of living had more than doubled in those twenty years. One needed at least $772 in 1987 in Canada to buy what one purchased with $200 in 1967. The consequent increase in the prices of products is the reason why wage increases, claimed so much by workers, do not succeed in producing a durable improvement. The employers do not manufacture money, and if they have to spend more to pay their workers, they are compelled to sell their products at higher prices in order not to go bankrupt. As for the national dividend, it is not included in prices, since it is made up of new money, distributed, independently of labour, by the Government. However, with more money in the hands of the public, retailers could tend to increase the prices of their products, even if these products did not cost them more to produce. Also, a monetary reform which does not, at the same time, apply the brakes to an unjustifiable rise in prices, would be an incomplete reform. It could become a catastrophe of runaway inflation. The arbitrary setting of prices, a general ceiling or freezing, can also achieve a prejudicial effect by discouraging production. Now the reduction of production is the surest way of pushing up prices. The legislator thus achieves the contrary of what he seeks: he provokes inflation by clumsily fighting it; to escape sanctions, inflation takes place, through the black market. Social Credit puts forward a technique to automatically fight inflation: it is the proposed technique of the “adjusted price”, or the compensated discount, which would be part of the way money is issued to put the total purchasing power at the level of total offered production. Since products are made for the consumer, it is clear that, to reach their end, the products must be offered to the consumer at a price which allows the consumer to purchase them. In other words, at all times, there must be an equilibrium between the collective prices and the collective purchasing power of all consumers. To establish the retail price, the producers, or the retailers, calculate what the manufacturing of the product has cost, and add the costs of handling, transportation, storing, and the necessary profits to the different intermediaries. But nothing ensures that this marked price corresponds to the consumer’s purchasing power. The marked price must be claimed by the retailer so as not to throw anyone, between the producer and the retailer, into bankruptcy. Moreover, the price to be paid by the buyer must be such that it corresponds to the purchasing power in the consumers’ hands. Otherwise, the products remain unsold in front of real needs. Hence, a necessary adjustment of prices. The monetary technique of Social Credit provides it. In the Social Credit vocabulary, we call the “Just Price” the price which corresponds exactly to consumption. When we say “Just Price”, we do not at all mean “honest price” or “fair price”. The price marked by the retailer may be completely honest, completely fair, but still may not at all be the exact price. So, during the Depression, the marked prices could have been honest and fair, but they were not exact; they did not correspond to consumption. When the total production of things demanded exceeds total consumption, these prices are certainly not exact, since consumption over a given period shows, conclusively, the real expenses incurred for production during this same period. The honest price is a moral matter; the exact or “just” price is a mathematical matter. The exact price, the “Just Price” of the Social Credit system, is achieved through an arithmetical rule. So there is no question whatever of an arbitrary fixation of prices, or of ceilings, restrictions, rewards, chastisements — but simply of arithmetic. Then, to be able to put the equal sign (=) between these two numbers, Social Credit lowers the first to the level of the second. Let us explain, first by presenting a few unfamiliar ideas which bear far-reaching consequences. The exact price of a thing is the total sum of expenses incurred in its production. And this is true, if one counts in dollars, ergs, man-hours, or any other unit of measurement. Such and such work requires four hours of time, ten ounces of sweat, a workman’s meal, the wear of a tool. If the enumeration is complete, the exact price of this work, its real cost, is four hours of time, ten ounces of sweat, a workman’s meal, and the wear of a tool — no more, no less. As one is accustomed to evaluating costs in dollars in Canada, and as one is also accustomed to evaluating work in dollars, the wear and tear, and all the other elements which form expenses, it is possible to establish a relation between both, in terms of dollars. If, all in all, the material expenses, work, energy, and wear and tear, amount to $100, the exact price, the real cost of the product, is one-hundred dollars. But there is the accounting price, the financial cost. During the production of an article in a factory, an account is kept of the raw material bought, processing costs, wages and salaries, capital costs, etc. All these constitute the financial cost of the production of the article. Are the accounting price and the exact price the same? Even if they accidentally are, in certain cases, it is easy to prove that, as a whole, they certainly are not. Take a small country that supplies, in one year, capital goods and consumption goods, for a total production evaluated at 100 million dollars. If, within that time, the total expenses of the country’s inhabitants are evaluated at 80 million dollars, one will readily admit that the country’s production for that year has cost exactly $80 million, since $80 million in all was consumed by the population that made the production. The financial cost of production has been evaluated at $100 million, but it actually cost only $80 million in real expenses. This is an inescapable fact: both totals are there. The exact price of the production of $100 million has therefore been $80 million. In other words, while $100 million in wealth was produced, $80 million in wealth was consumed. The consumption of $80 million worth of production is the real price of the production of $100 million worth of production. Moreover, as we have said above, if production exists for consumption, consumption must be able to pay for production. In the preceding example, the country deserves its production. If, by spending $80 million, it produces $100 million worth of goods and services, it must be able to get these $100 million worth of production while spending $80 million. In other words, in paying $80 million, the consumers must get the $100 million worth of production. If not, $20 million worth of production will remain for contemplation, until it turns to destruction, in front of a deprived and exasperated people. A country gets richer in goods when it develops its means of production: its machines, factories, means of transportation, etc. These are called capital goods. A country also gets richer in goods when it produces things for consumption: wheat, meat, furniture, clothing, etc. These are called consumer goods. A country again gets richer in goods when it gets wealth from abroad. Thus Canada becomes richer in fruits when it gets bananas, oranges, and pineapples. This is called importation. Moreover, a country’s goods are reduced when there is destruction or wear of the means of production: burnt factories, worn-out machines, etc. This is called depreciation. While the country became richer with $12 billion worth of production, it used, or consumed, or exported, $9 billion worth of production. The real cost of the production of $12 billion is $9 billion. If it actually cost the country $9 billion to produce $12 billion worth of goods and services, the country must be able to enjoy its $12 billion worth of production, while spending only $9 billion. With $9 billion, one must be able to pay for $12 billion. To pay for 12 with 9. This requires a price adjustment: to lower the accounting price, 12, to the level of the real price, 9, and to do it without doing violence to anyone, without harming anyone. Since the consumption of $9 billion worth of production, the wear of machines included, allowed a production worth $12 billion, improvements included, $9 billion is the real price of the production. In order for the country to be able to use this production, as long as it is wanted, it must be able to get it at its real price, $9 billion, which does not prevent the retailers from being compelled to claim $12 billion. On the one hand , the country’s consumers must be able to buy 12 with 9. They must be able to draw on their country’s production by paying for it at 9/12 of the marked price. On the other hand, the retailer must recover the full amount: 12; otherwise, he cannot meet his costs and obtain his profit, which is the salary for his services. The buyer will pay only 9/12 of the marked price, if he is granted a discount of 3 on 12, or 25 percent. Likewise, the same type of ratio is applied to the sale of all the country’s articles, because it is a national discount decreed by the National Credit Office, to reach the goal for which the National Credit Office was instituted. If all of the country’s consumer goods are thus paid for at 75 percent of their marked price, the country’s consumers will be able to get all of their production worth $12 billion with the $9 billion that they spend for their consumption. If they do not like some products for sale on the market, they will not buy them, and the producers will simply stop making these products, because they are not real wealth, since they do not answer the needs of the consumers. The retailers thus get from the buyers only 75 percent of their prices. They will not be able to subsist, unless they get from another source the 25 percent that the buyer does not pay for. This other source can only be the National Credit Office, which is charged with putting money in relation to facts. On the presentation of appropriated vouchers, attesting to the sale and the national discount allowed, the retailer will get, from the National Credit Office, the credit-money representing the missing 25 percent. The goal will be reached. The whole of the country’s consumers will have been able to get their country’s total production, answering needs. The retailers, and through them the producers, will have obtained the amounts which cover the costs of production and distribution. There will be no inflation, since there is no lack of products in front of the demand. This new money is actually created only when there is a product wanted and purchased. Besides, this issue does not enter into the price of the invoice, since it is neither a wage, a salary, nor an investment: it comes after the product is manufactured, priced, and sold. Another way of arriving at the same result would be to make the buyer pay for the full price. The retailer would give a receipt to the buyer, attesting the purchase amount. On presentation of this receipt at the branch of the National Credit Office, the buyer would get credit-money equal to the 25 percent of the purchase amount. The first method is a compensated discount, a discount granted by the retailer and paid to him by the National Credit Office. The second method is a rebate made to the buyer. The result is exactly the same. In any case, the price paid by the consumer must be the fraction of the marked price expressed by the ratio of total consumption to total production. Otherwise, the production is only partially accessible to the consumers, for whom it is was made. It is very nice to say that each man, woman, and child, as a member of an organized society, is entitled to the benefits of association. It is also exact to point out that these benefits must guarantee at least the bare necessities of life to everybody, from the cradle to the grave, in a world which overflows with so much wealth that its biggest problem is to dispose of this wealth. And we have seen that the practical expression of the guarantee of the bare necessities of life is, in the modern distributive economy, the assurance of a sufficient periodical purchasing power to get the minimum of necessary goods for the maintenance of life. This purchasing power is presented in two ways: a direct dividend in money, and the lowering of the retail prices of products at the time of their purchase by the ultimate consumer. In both cases, the National Credit Office needs a source to draw from: where to draw from to distribute the dividends to all citizens; where to draw from to compensate the retailers for the price deductions decreed in favour of the buyers. This source rests in the national credit. The idea of credit is synonymous with the idea of confidence. One gives credit to someone only if one has confidence in him. Any confidence rests on something, on a foundation. And this object of confidence can be varied. Thus, the weather forecasts can make me confident that tomorrow will be a beautiful day. My friend’s character can make me confident that he will be loyal to me. My studies make me confident of my success in such and such an exam. In all this, there is no question of money. It is confidence regarding other subjects. If, moreover, I am a retailer, and I sell to a client who promises to pay me in three months’ time, my confidence is influenced by my client’s future capacity to pay. I give him credit, because I am confident that he will find money, and that he will bring it to me in three months’ time. This confidence regards finance. The Social Crediters distinguish between real credit and financial credit. When the French of the seventeenth century came to settle on the shores of the St. Lawrence River, in what was later known as Canada, they did not move without having confidence that they would be able to live in this country. Their confidence rested on the capacity attributed to the New World of being able to provide the necessary things of life. It was the New World’s real credit. The settler who goes to settle in Northern Quebec has confidence in that area. He believes that Northern Quebec’s forest and soil will allow him to live and raise a family. It is Northern Quebec’s real credit. The doctor’s competence gives confidence to the patient who consults him. It is the doctor’s real credit. Real credit springs from the capacity to produce things or services answering needs. Canada’s real credit is Canada’s ability to produce and deliver goods and services, when and where required. Real credit grows with the development of the country’s productive capacity. The difference between Canada today and the Canada inhabited only by the Indians, four centuries ago, marks the growth of Canada’s real credit during the course of these four centuries. Real credit is the country’s wealth expressed in possible goods and services. Financial credit is the country’s wealth expressed in money. Financial credit is the capacity to supply money, when and where required. A retailer’s credit given to his client is financial credit. The retailer is confident of being paid according to set terms. A lender’s credit given to a borrower is financial credit. The lender is confident that he will be paid back according to set terms. If real credit directly concerns things, existing or easily realizable goods, financial credit is about money, which is expected to be present when required. When politicians talk about the province’s good credit, they talk about financial credit, about the confidence that money lenders have in the province’s capacity to repay. However, the province’s real credit stays the same, whether the bankers be welcoming or stern. With finance having to be at the service of realities, financial credit must relate to real credit. Alas! this is not the case. Thus, in 1930, Canada had not lost its real credit, its capacity to produce, and yet it lost its capacity to supply money where it was required. It is the separation, the divorce, between real credit and financial credit, that falsifies economic life. Real credit is reliable: it is the conjoint work of Providence, men’s work, progress from applied science. Financial credit reflects all the sudden turns; it depends on the banks’ action, and the banks’ action, pursuing the bankers’ profits more than the good of the people, is, besides, submitted to influences of international order, by no means in keeping with the facts of production, nor the needs of consumption. The 1930-1940 Depression was a crisis of financial order, on an international scale. Actually, all loans by the banks are based on real credit. It is the capacity to produce and deliver salable goods which make the borrower a reliable subject for the banker. The loan from the banks, inscribed to the borrower’s credit, as we have seen it, serves as money. It is banking credit, based on real credit. Banking credit, or bookkeeping money, is the banker’s conversion of the borrower’s real credit into money. If it is a loan to the Government, it is the conversion of the country’s real credit into money. The conversion of real credit into money is necessary. But, the conversion thus made by the banks includes a fundamental flaw. By an inconceivable privilege, banks convert the real credit of other people into money, and declare themselves the owners of the money thus created, which they lend to other originators of real credit by getting them into debt. Moreover, this conversion of real credit creates temporary money, which must be withdrawn and destroyed after a term fixed in advance, even when the real credit, which serves it as a base, continues to exist. Take the case of an industrialist who borrows to erect a factory. He gets a credit to be repaid, let us say, during the course of five years. The factory which he builds increases the country’s real credit. It is therefore proper that money, which must be the reflection of the country’s wealth, increases at the same time. But the industrialist must repay the loan during the course of five years. He will therefore apply to the prices of the products of his factory, not only the production costs, but a part of the price of his factory, so that he can effect the repayment. At the end of five years, all the created money will be withdrawn from circulation and returned to its source. And yet the production capacity of the factory is still there. The base for this conversion into money is still there, but the money is not there any more. The country does not possess the financial equivalent of its real wealth. Moreover, real credit has a social nature, even if the matter concerns private goods. The factory, which we have just quoted as an example, would have absolutely no value if it were not for the existence of society. Just suppress the consumers, and tell me what the factory will be worth. The factory, which is private property, certainly increases the private owner’s wealth, but at the same time, it also increases the country’s wealth. And the whole country will benefit from it, provided, however, that the products of the factory can be sold. The banker, who lends money created on the borrower’s real credit, and who forces the borrower to bring back this money, is not only unjust to the private creator of wealth, he is also unjust to all of society, whose claims on the produced and offered wealth he restrains. The conversion into money of real credit can only be exercised by a sovereign authority, acting in the name of society itself, and pursuing, not the banker’s profit, but the economic welfare of society as a whole. This is why the Social Crediters call for the national conversion of real credit into money, whether this real credit be the fruit of a public or of a private firm. This conversion must be made orderly. It must be in keeping with the facts of production, and with the needs of consumption. The national conversion of real credit into money can very well be carried out, as in the banks, by the simple inscription of financial credit: bookkeeping money. But it must not be loaded with interest, nor limited to an arbitrary term. Any increase of real wealth increases the base for this conversion into money, and any destruction of real wealth destroys this base. The money must not disappear unless its base disappears. 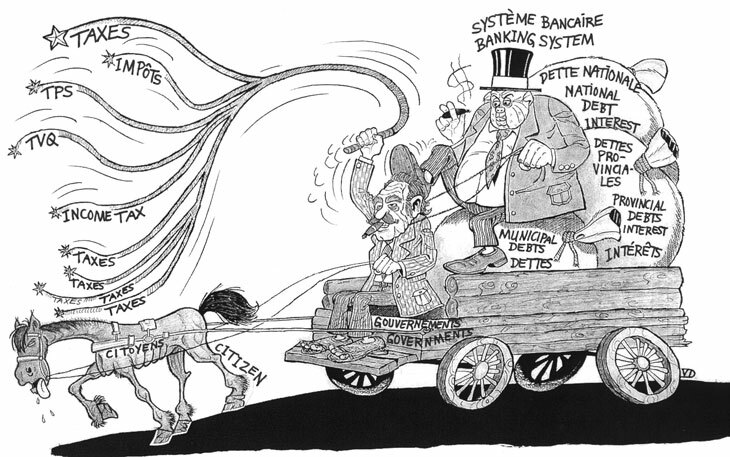 Under the present system, when the banker creates the money which he lends, he simply records it into a ledger (or a computer), to the borrower’s credit. The borrower uses it by drawing cheques on this credit, as long as any credit remains. Likewise, a Social Credit Government, which would convert into money the increase of the real credit proportionately, would simply record the money thus created into a ledger, to the nation’s credit. It is on this national credit that cheques would be drawn to pay the national dividend to the citizens, and to compensate the retailers for the national discount decreed on retail prices. The administration of this national credit account would have nothing arbitrary, nor anything capricious about it. It would be administered by a national monetary authority, a non-political commission, appointed by the Government, but charged with administering the national credit in accordance with the data of production and consumption, just as judges, appointed by the Government, judge only in accordance with facts in regard to law. It would be a commission of accountants, charged to record the value of all production and of all destruction of wealth. The difference between these two evaluations would give the net increase, the base for the increase of money. This is not an impossible task. There already exists precise statistics on almost anything that constitutes the country’s increase of goods: production of capital goods, production of consumer goods, imports, births, etc. ; and on anything that constitutes the country’s reduction of goods: depreciation, wear and tear, fires, consumption (total purchases), exports, deaths, etc. This would be a good base to start from, the credit commission looking for information which it might be lacking. There is absolutely nothing dictatorial in the work of such a commission. It does not dictate the production; it records it. It does not dictate the consumption; it records it. It is the citizens themselves who, freely, produce and consume, thus providing the data for total production and consumption; the national credit commission simply records this data and deduces the net enrichment increase from it. Bookkeeping conforms to realities; it does not misrepresent them. And the money that is issued according to this bookkeeping would result from the free acts of production and consumption which would govern the volume of money, as opposed to the disordered system of banking credit, where money governs production and consumption. Since nothing would hinder the sale of production, this system would rise to high levels, as long as there were orders from consumers. It is this production increase which would determine the amount of national credit to be distributed in the form of dividends or of national discounts. If the citizens, enjoying a satisfying standard of living, would prefer to devote themselves more to free occupations and less to the production of marketable goods, it would bring about the gradual development of a leisure economy, the logical outcome of progress, which replaces human labour by the machine while increasing production. The increase of leisure (free activities) is an objective much more conformable to human aspirations, and more rational in an economy of plenty, than full employment, a goal aspired to so avidly today. But, to substitute the pursuit of leisure for the pursuit of full employment, the cult of freedom for the cult of servitude, we must first admit an income which is made up of dividends for all, and not an income made up only of wages and salaries. From the preceding chapters, it may be posited that, to correct the economic system and to put production at the service of consumers, there is no need at all to change the form of production, which is quite effective. There is the need only to provide the consumers with the means of claiming what they want from production, as long as that production is capable of providing it. To this end, Social Credit calls for a regulation of the monetary system to put money in keeping with the facts of production and to put this money at the service of consumers. A certain quantity of money already reaches the consumer through wages and salaries for accomplished work, or through the sale of products on the market, or through the income derived from investments. But nothing ensures the consumers at all times of a sufficient global purchasing power to buy the globally offered production. Besides, the money must be removed from a tutelage which taxes it at its origin, and which imposes on it a term of duration, without any relation to the duration of the production capacity. 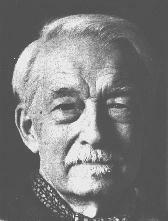 The monetary propositions formulated by Major Clifford Hugh Douglas, the Scottish engineer who conceived the Social Credit Doctrine, seem effective ways to correct the monetary system, without collisions, without disrupting the present methods of production, without suppressing the pursuit of profit which stimulates production, without the least harm to personal freedom, and without undue interference into economic activities by the State. The issuance of any new necessary money for consumption, in two ways, complementing each other. b) By an adjustment of prices to balance definitely the global purchasing power with the offered production, avoiding all inflation as well as all deflation. Chapter 28 — What Would Social Credit Do For You? Chapter 32 — Should Money Claim Interest?